Much like Berroco's original Mykonos but with marled visual interest. 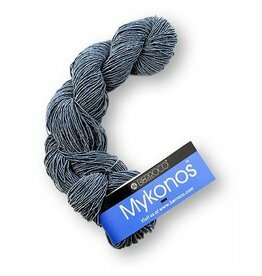 Berroco Mykonos Stonewash blends shades of denim with white to create a finished fabric reminiscent of your favorite pair of blue jeans. This dk-weight, core spun yarn blends linen, cotton and viscose into a wearable silky yarn that is oh so glamorous. This is a great warm weather yarn for chic summertime tanks, tunics and tees or an elegant warp for a night on the town. 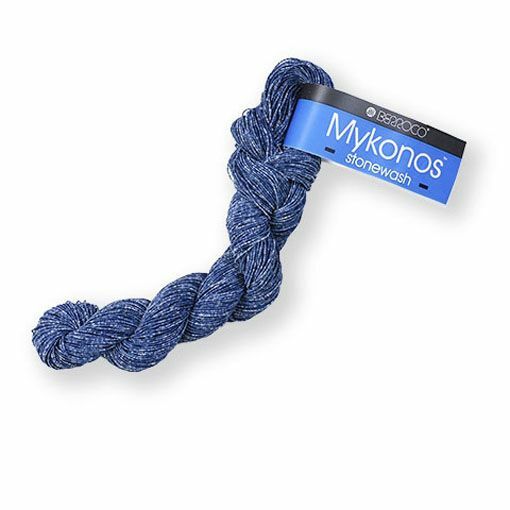 Linen blend yarns such as Berroco Mykonos are perfect for warm weather months. This DK weight yarn will create a fabric that has lovely drape and sheen.